So today is rest day two. 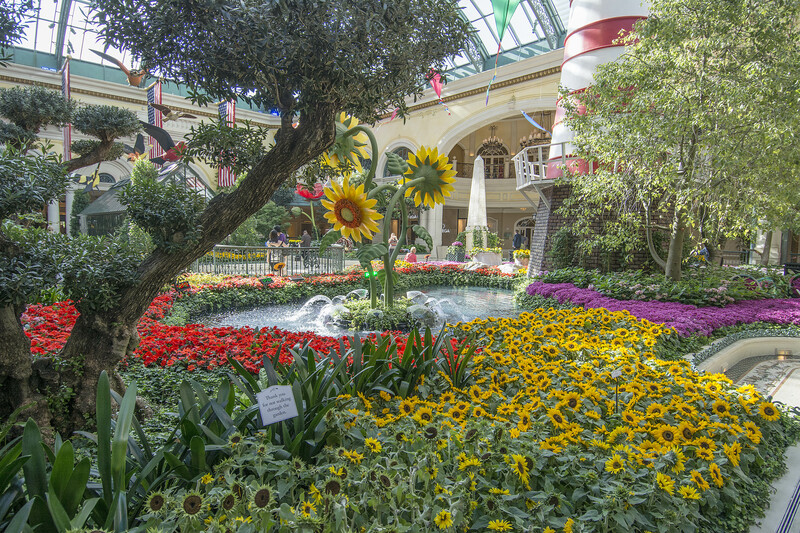 We spent this morning around the pool again and Si went off and took some photos of the Bellagio reception and atrium. 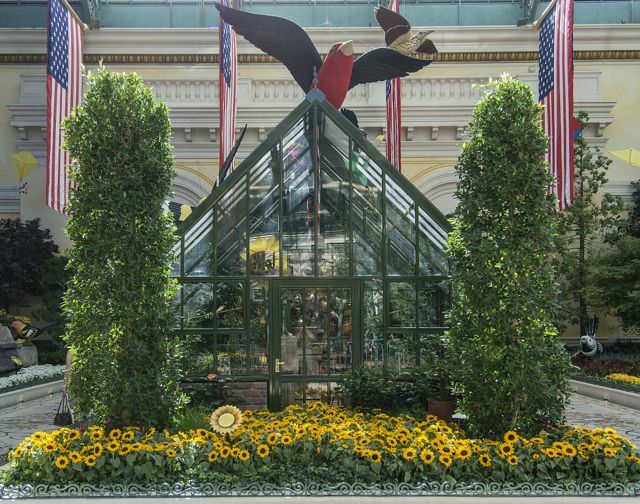 The atrium is re-dressed four times a year to mark the changing of the seasons. 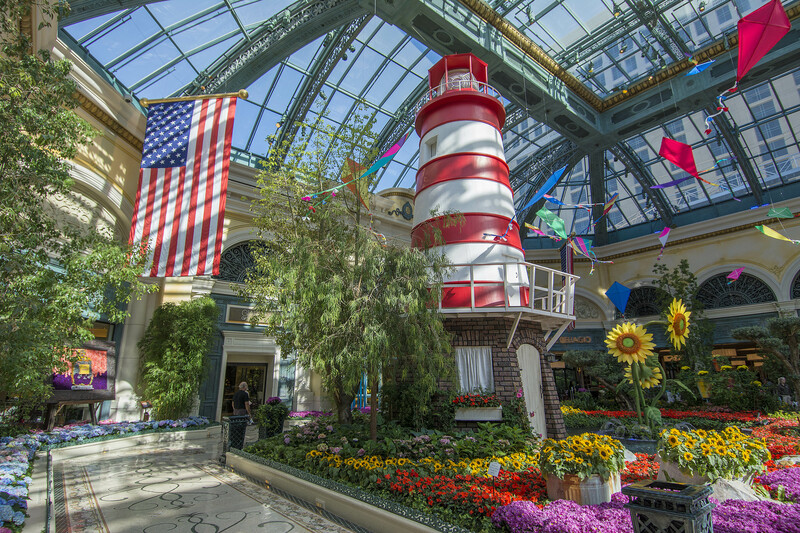 The light house: the first lighthouses were built by the Egyptians as far back as 283 A.D. to guide ships away from rocks and land and bring them safely into harbour. The first lighthouse in America was built in Boston Harbour in 1716 on Little Brewster Island. 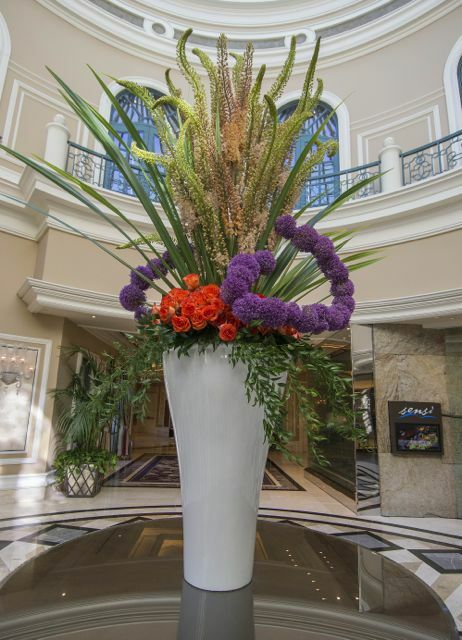 This one is 32ft tall and has a real working light on top. The greenhouse is 13ft high, 36ft long and 14ft wide and at the moment is home to lots of beautiful birds i.e. Rosey Bourke, Parakeets, Canaries, Cockatiels and 50 Finch birds in nesting units. The bridge is 24ft long and 6ft tall and the tree house is approximately 15ft tall. 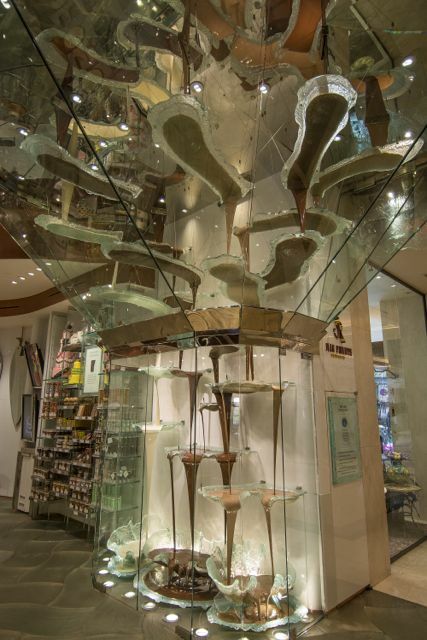 The chocolate fountain (photo below, especially for Steve Blewitt) is the largest in the world and is made up of white, medium and dark confectionary grade chocolate. It has over 500 feet of stainless steel piping, and the chocolate rises 27 vertical feet from the lower level pump room. It took two years of engineering, planning and design. 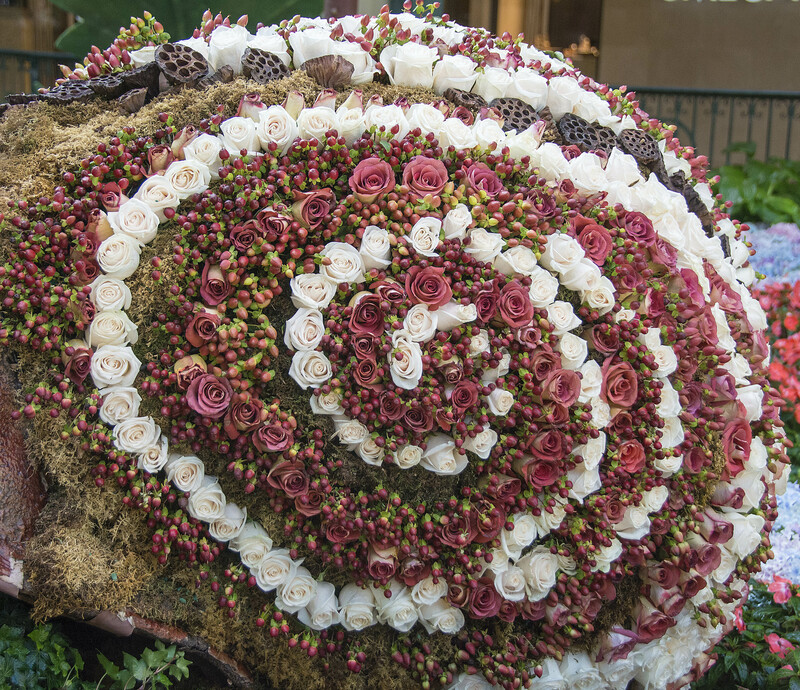 Quote from the Guinness World Records Ltd: The largest chocolate fountain measures 8m (26ft 3ins) tall and circulates 2 tons of chocolate (4409 pounds) at a rate of 120 quarts per minute. Is that enough chocolate for you Steve? 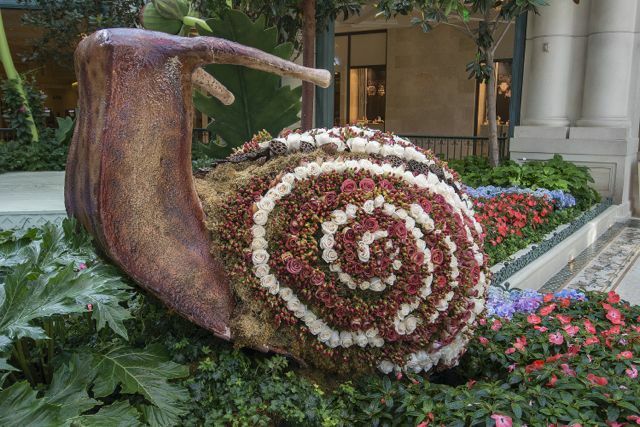 Approximtely 25,000 flowers make up this snail! 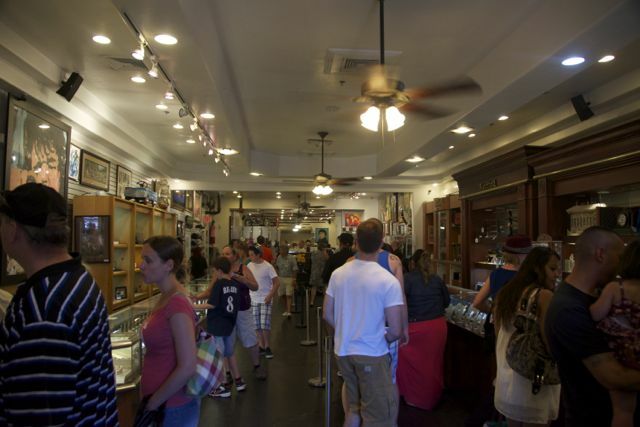 This afternoon we went Downtown and visited the most famous ‘Gold and Silver Pawn Shop in the World’. 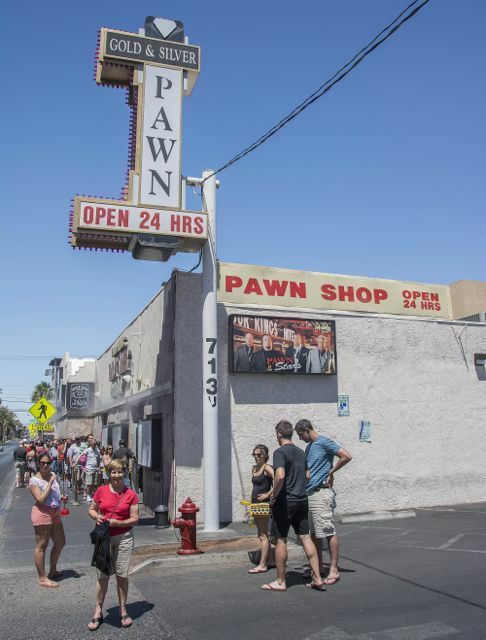 For those who don’t know, there is a programme on Sky TV on the History Channel (don’t know if it’s on cable too) called Pawn Stars and it’s about this shop in Vegas owned and run by the Harrison family. They are Richard aka the ‘old man’, his son Rick, Rick’s son Corey and Corey’s friend from school, Chumlee. There’s usually huge queues to get in but we were lucky today and we didn’t have too long to wait. Sadly, we missed them because they were in the shop this morning but this afternoon we were told they were ‘out the back’ filming. Still, it was great to actually be there to see the shop first hand. Hi Nat, no, we’ve seen their summer settings before, they are always fabulous. I agree, every home should have a chocolate fountain. 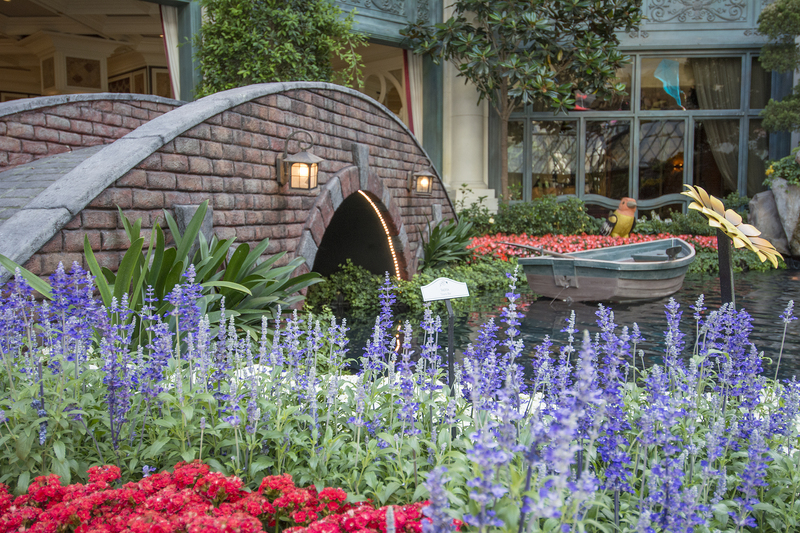 My goodness, the Bellagio is a city within a city. It’s all so beautiful. 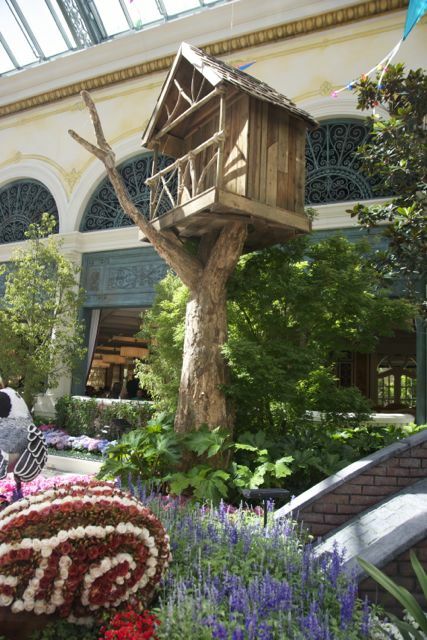 I love the flowers and the tree houses. I’m surprised there is no pic of you diving into that chocolate fountain Sandra! JB is a big fan of Pawn Stars, he’s always laughing at Chumlee. 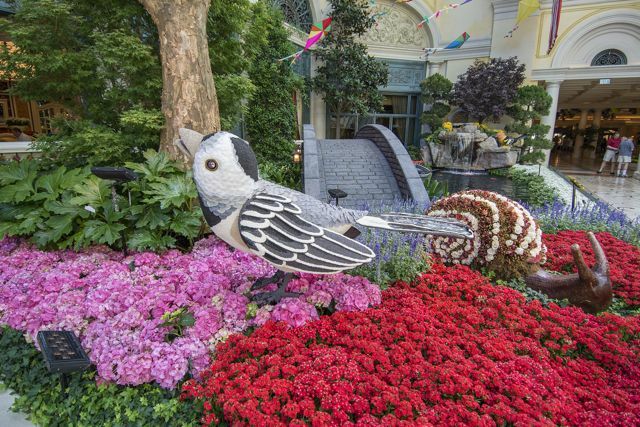 The Bellagio certainly does it up big and beautiful!